← Feed = Food? Do livestock really compete with humans for food? 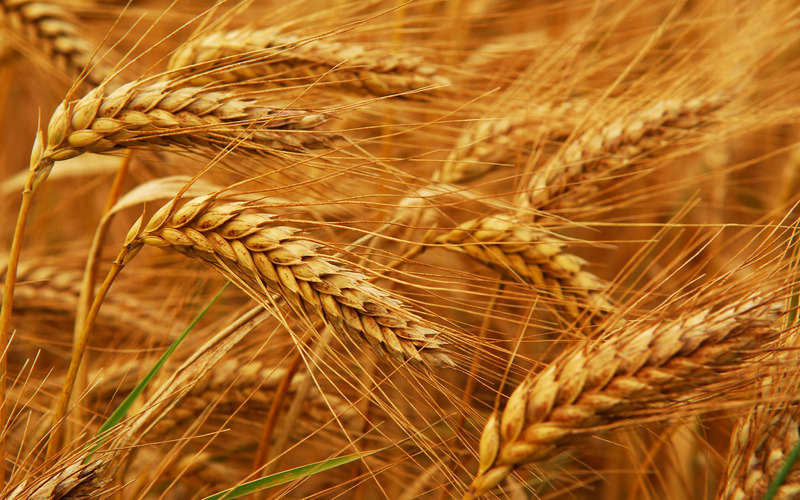 This entry was posted in Contraception, Food Security, Sustainability, World Hunger, Yield Gap and tagged Contraception, Food Security, Hunger, Sustainability, Yield Gap. Bookmark the permalink. Just food for thought …….. Anyone with a cursory knowledge of population dynamics will understand that when a population exceeds the carrying capacity of its enviornment, catastrophic things begin to happen. Perhaps the biggest societal issue to be addressed is, has society the where with all to discuss the only two mechanisms of human population contron – increasing the death rate, an/or decreasing the birth rate. Although in the 1950s and 60s it was in vogue to debate human overpopulation it appears that, lobally, society refuses to get into meaningful discussions. It’s also argueable (in ecological terms), that a decrease in human polulation to some “sustainable level,” might be the solution to many of the “problems” facing us today (from food security, to global warming). It’s a scary problem, this population thing. From the “Green Revolution” to modern intensive agricultural practices, we have facilitated unprecedented population growth almost everywhere, but it beats the alternative. Curiously, at least to me, growth slows in the most developed nations or even reverses, negative growth, in some. If everyone were to reach our state of development, would the world’s population just sort of gradually dwindle away? It gives one pause. Large families around here are rare nowadays. We just can’t divorce ourselves from the rest of nature, we still live by the same rules, or do we? We can reason, create, solve seemingly unsolvable problems. If we put our collective minds to the task, cooperate, there is nothing we can’t accomplish. 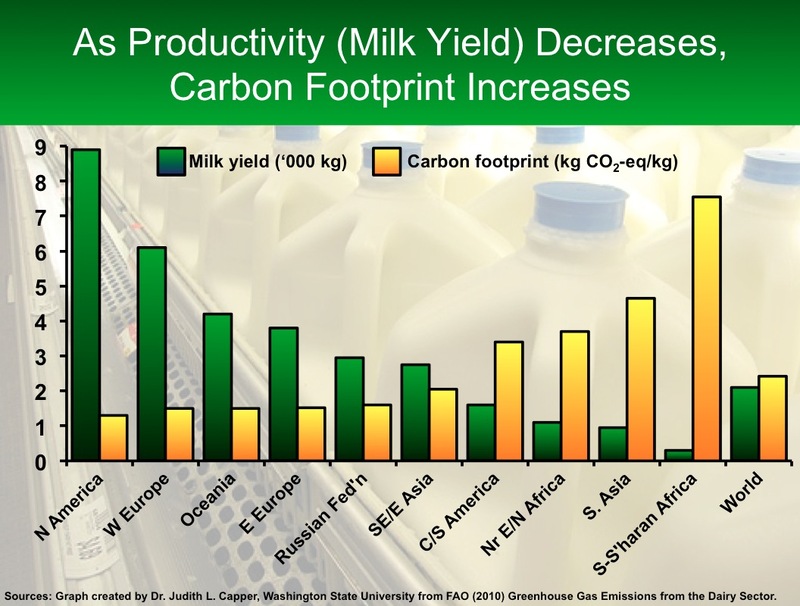 I like Bovidiva’s assertion that higher production leads to less actual carbon footprint per unit of product. It only makes sense. Of course there’s always room for improvement, but I have no doubt improvement will continue. One thing, cows don’t burp or belch, so how is it they get the blame for producing so much greenhouse gas? 🙂 On our farm we compost much of the manure and have developed a good local market for it; $15 per cubic yard.